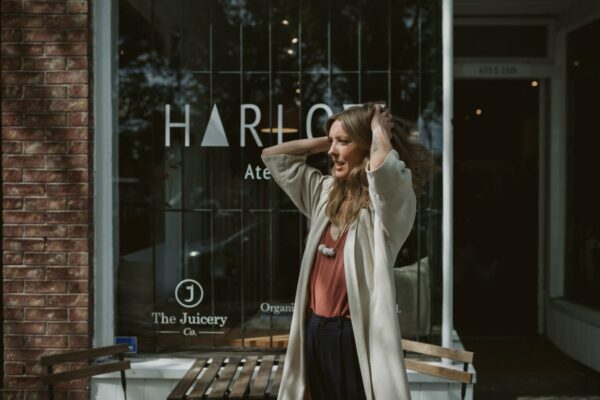 Walking into Harlow Atelier, it is really hard not to feel good. 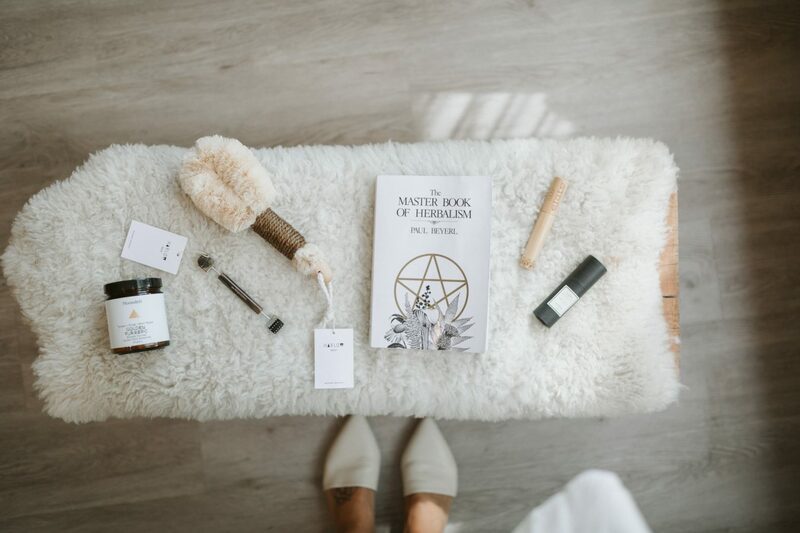 The door clanks closed as the intoxicating and calming smell of an aromatherapy oil blend wafts into nostrils, and eyes settle on the cozy interiors: white walls, soft wood floors, and rich wood shelving and tables covered with the most intriguing of wellness products. 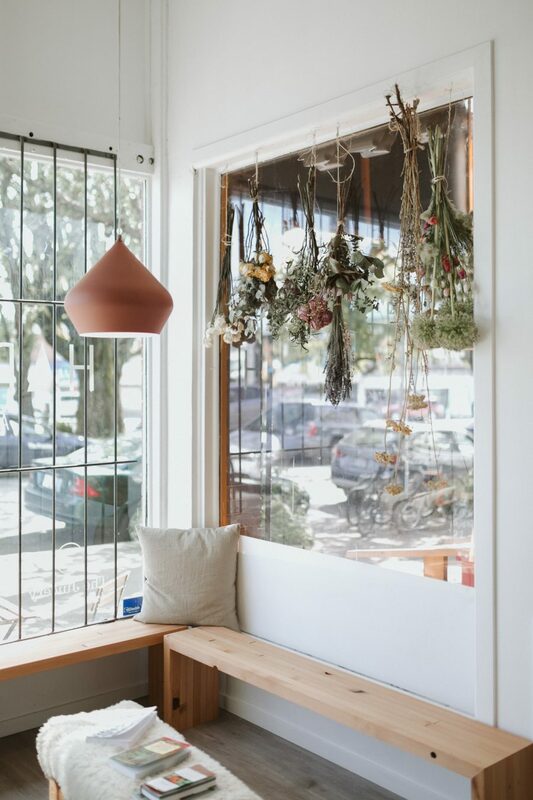 For the lucky ones, a visit to this little Vancouver shop is met by owner Chrystal Macleod. 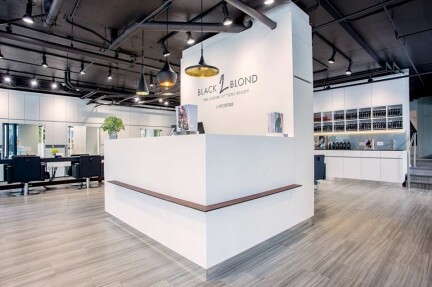 With flowing blonde hair and delicate features, Macleod has an infectiously warm and quirky presence, and a wealth of knowledge that she is ready to share. 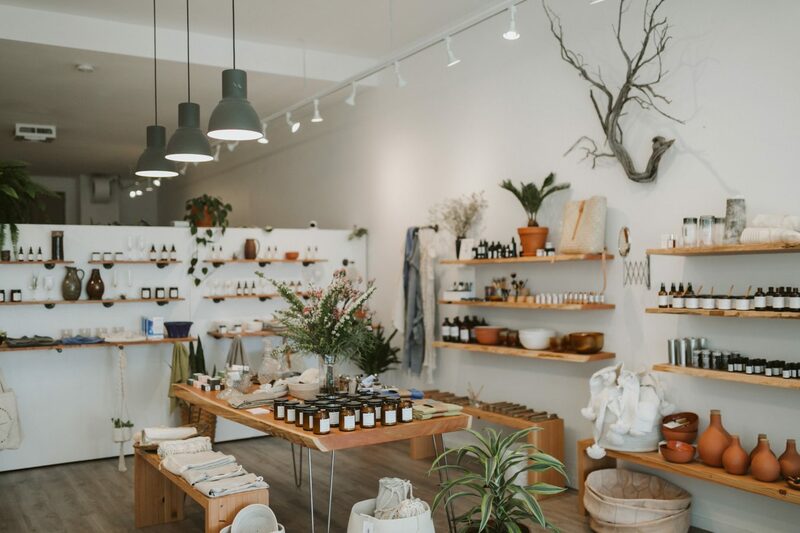 “I’ve always dreamed of having a store,” she says early one morning while seated at a desk in the back of the Atelier. “The shop is very much an extension of what our ethos is as a brand. 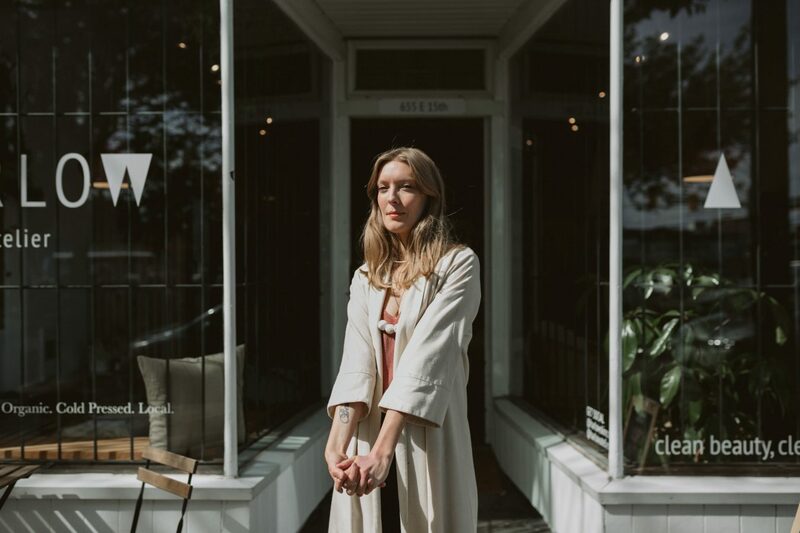 It’s not just your skin.” The brand she mentions is Harlow Skin Co., the all-natural skin care company she started in 2014. 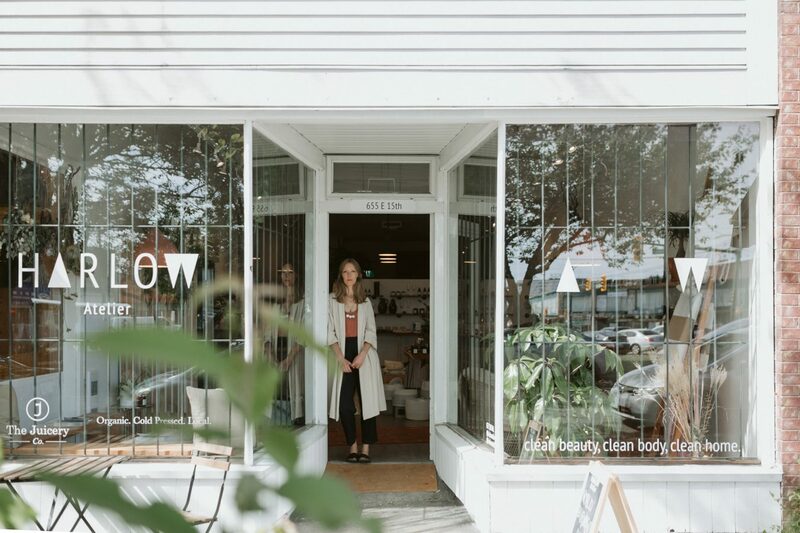 The Harlow Atelier, which is located at the fast-changing intersection of Fraser and Kingsway, acts as a storefront and a production facility. In the back, Macleod and her team make the delicious-smelling products under the Harlow line, such as the soothing Flora facial toner, the Hey Gurl dry shampoo, and the rich Body Balm; in the front, she sells not only Harlow’s creations, but others as well, from Brand & Iron candles and Polish + Groom cleaning concentrates to Hives for Humanity honey and Woodlot soaps. It is a grand palace for any lover of natural skin care and holistic wellness. “I love helping people. I love helping them truly find something they can use and love and connect with,” Macleod says. “Without fail I get out of the shower, and I do my whole routine. I still, four years later, when I put on my lotion, say, ‘Yeah! 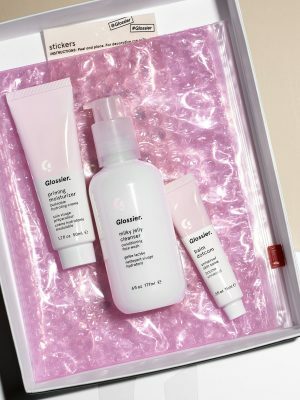 I’m feeding my skin!’” These little personal rituals provide stability and comfort; there is beauty in taking care of oneself and doing so with pride. Macleod started Harlow Skin Co. after close to two decades as a makeup artist. 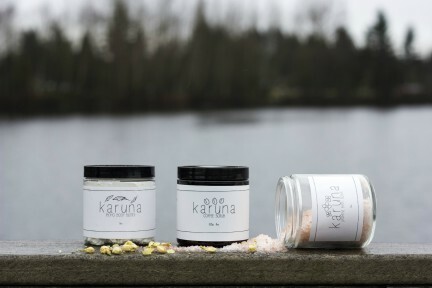 Forever fascinated by skin care and ritual, she decided to launch her own line of essentials using natural ingredients like honey, coconut oil, and essential oils. Going through the Harlow products on display, she talks about them as if they are her friends. “This guy is under the radar because he’s so little, but he’s my go-to for lips, face, if I’m super dry, if my hands feel dry,” she says, picking up a small tin of Body Salve, which is made with just olive oil, shea butter, and organic beeswax. “I smother him over my face and lips in the winter.” She also points out the Body Balm in a lovely scent called Night Market, which is made with black pepper and sandalwood. Her mother may very well have had something to do with it, but Macleod should certainly give herself most of the credit. Keep your skin fresh with the latest in Beauty.